Andrew Yin is a senior studying mechanical engineering. 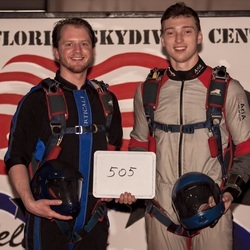 He started skydiving his freshman year and has made over 650 jumps since. He recently competed in the advanced 4-way division at the 2018 USPA Nationals and previously won a gold medal at the 2016 USPA Collegiate Nationals. 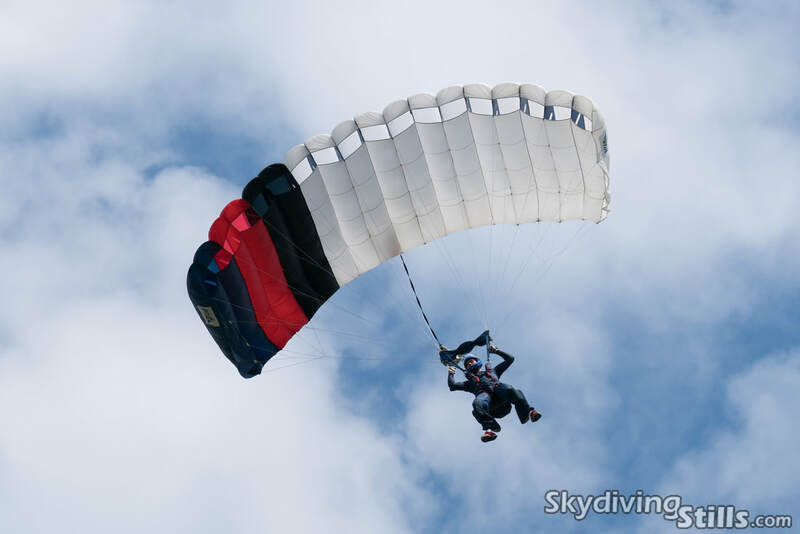 Yin loves jumping with the team and hopes to become an AFF instructor one day. Will Savage is a senior studying Communications. He started skydiving in December of 2015 because a friend persuaded him to and has accrued over 450 jumps since. 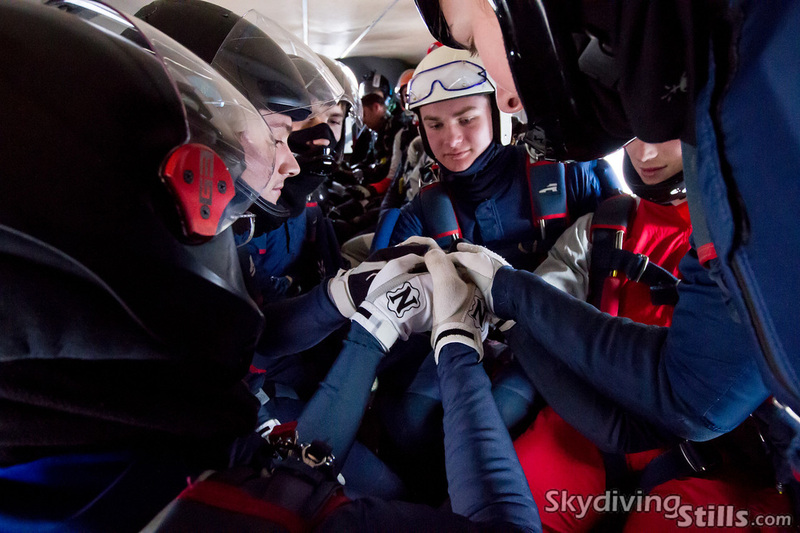 Will likes skydiving because of the comradery and unique perspective of the world it gives you. When he’s not jumping, Will likes skiing, photography, cracking jokes and complaining about the weather. He hopes to one day fly camera for tandems and become an AFF instructor. Ethan Beattie is an engineering student from Massachusetts. 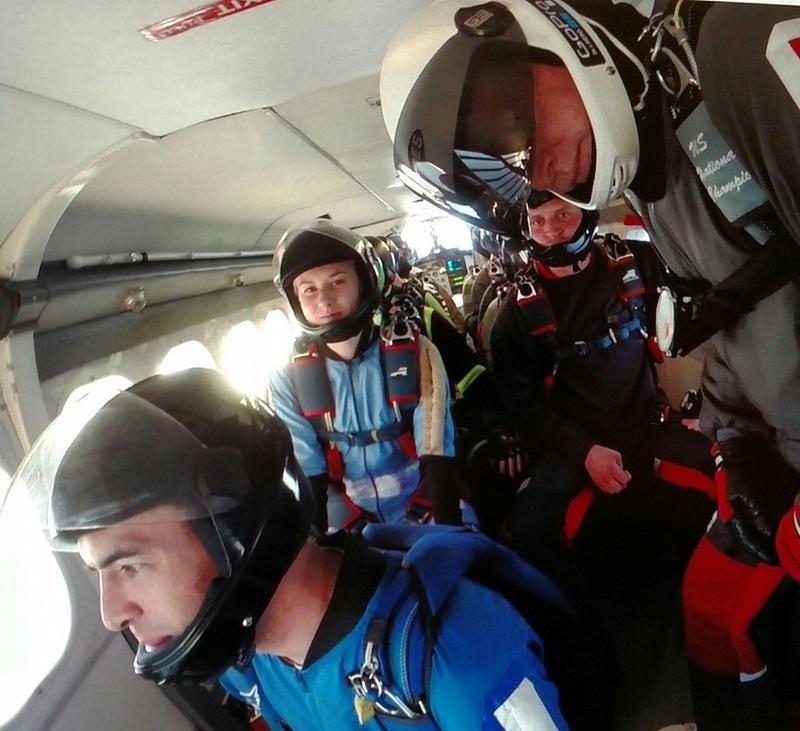 Ethan began his skydiving career in 2017 in order to meet skydiving legend John Spear. When he is not jumping, Ethan can be found performing his duties as a member of the UConn Space Force R.O.T.C. Despite being an absolute snack, Ethan is committed to his true love, Belle. Will Howard is a senior Materials Science and Engineering student. 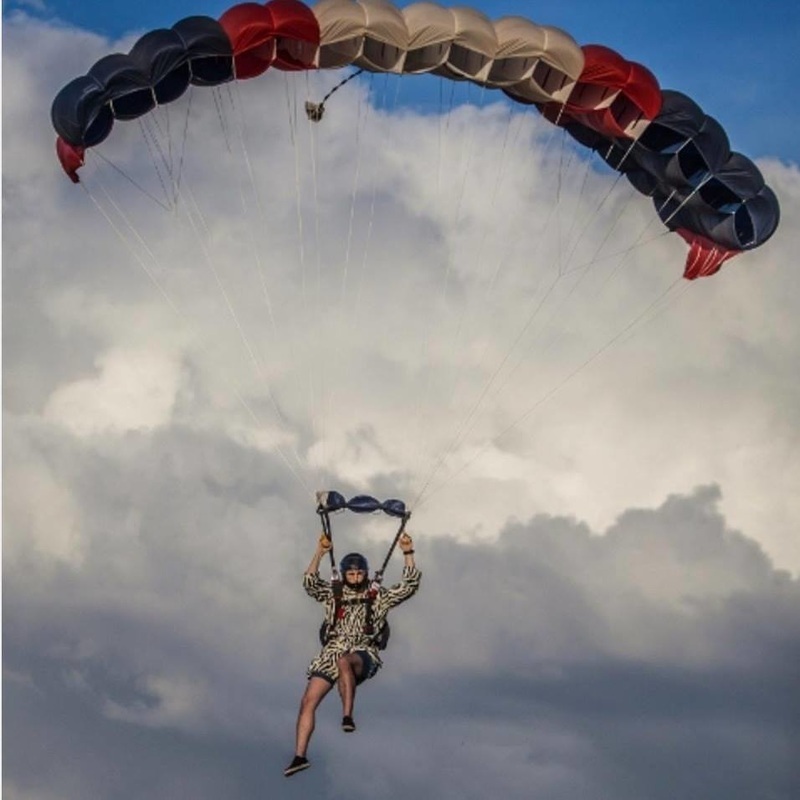 He earned his license the summer of his freshman year after completing his first tandem in September of 2015. 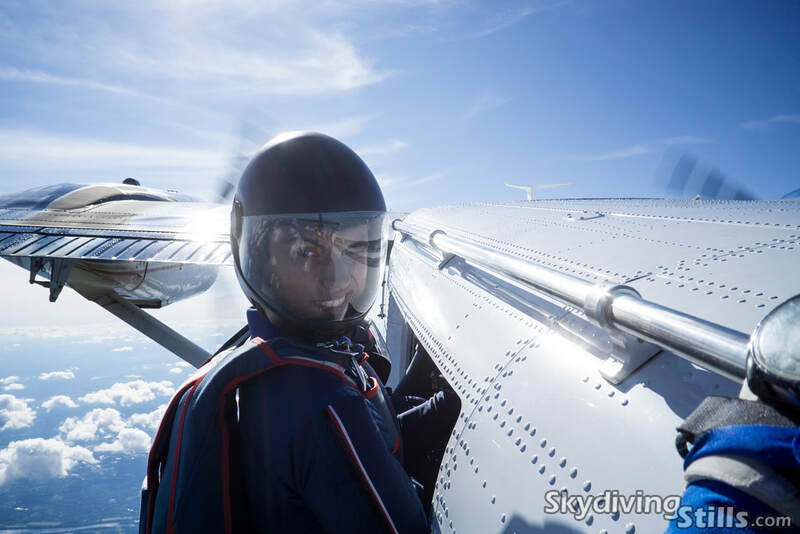 Since earning his license he has accumulated over 200 skydives. If the weather is nice and you can't find him at the dropzone he is probably flying around the northeast as a private pilot. Thomas Pietruszewski is a senior in the Psychological Sciences program at UConn. He got his A license in the fall of 2016 and has since made over 150 jumps. He was inspired to skydive by the mid-air fight scene between James Bond and Jaws in the Moonraker (1979). His goals for skydiving are to be the very best, like no one ever was. Meghan Ryan is a junior studying pharmacy. She got her license in the fall of 2017 and has made over 75 jumps since. In her free time, Meghan enjoys snowboarding, hiking and cliff jumping. Standing a towering 5-foot-0, Meghan hopes to be worn like a backpack upon becoming a tandem instructor one day. Hailey Voyer is a senior studying physiology and neurobiology. 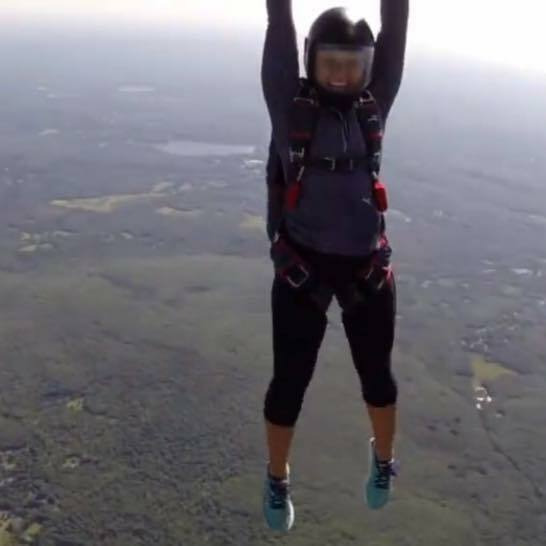 She made her first tandem for her 18th birthday in 2015, and has since made 150 jumps. She is currently training for the UConn 4-Way team to compete at the 2018 collegiate competition. In her free time, she enjoys taking long naps and eating chicken nuggets. ​Rhianna Sullivan is a sophomore majoring in Natural Resources and the Environment. 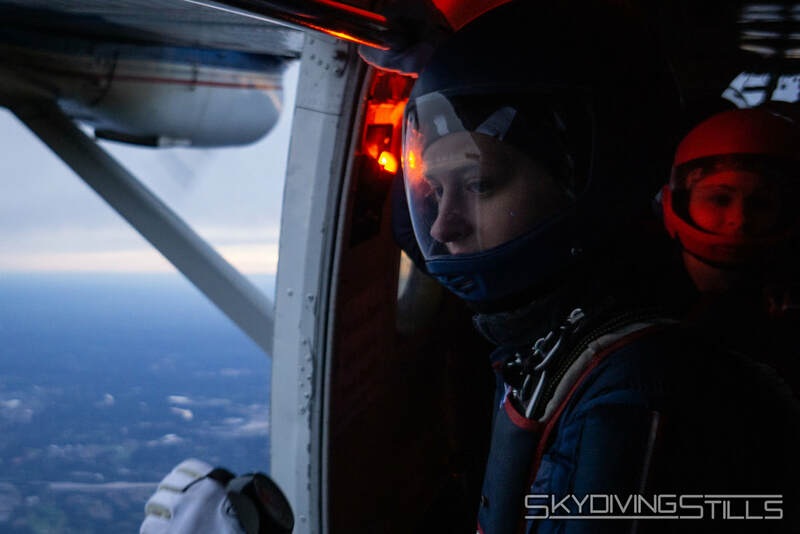 She started skydiving in September of 2017 and has accrued over 200 jumps in her first year alone. She is currently a member of the UConn 4-way team and working on classic accuracy. Lia Young is a sophomore studying finance. She made her first jump on September 15, 2018 and has already made 16 jumps since. 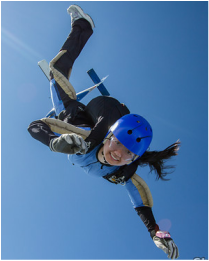 Her favorite part about skydiving is the view and people she’s met along the way. Her goal is to jump into campus for spring weekend and have 500 jumps by graduation. Lia also likes to spice things up for tandem students by giving them another rush in the landing pattern. 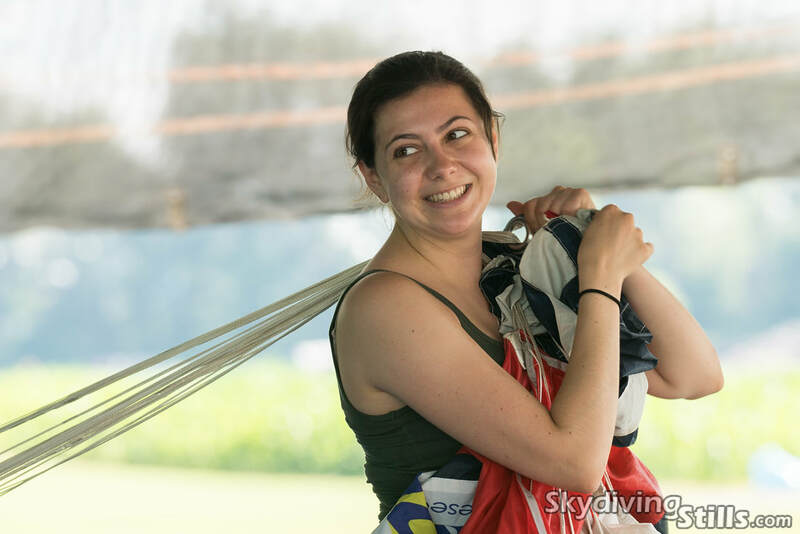 Alex Teskey ​enjoys all types of skydiving, especially crw (where you smash your fully functioning parachute into another one!). He recently got his tandem rating and has been loving every minute of it. He is a jumper at Skydive Danielson, making sure UConn Skydiving is represented at all of the CT dropzones. Doug Hendrix is a grad student studying Materials Science and Engineering. 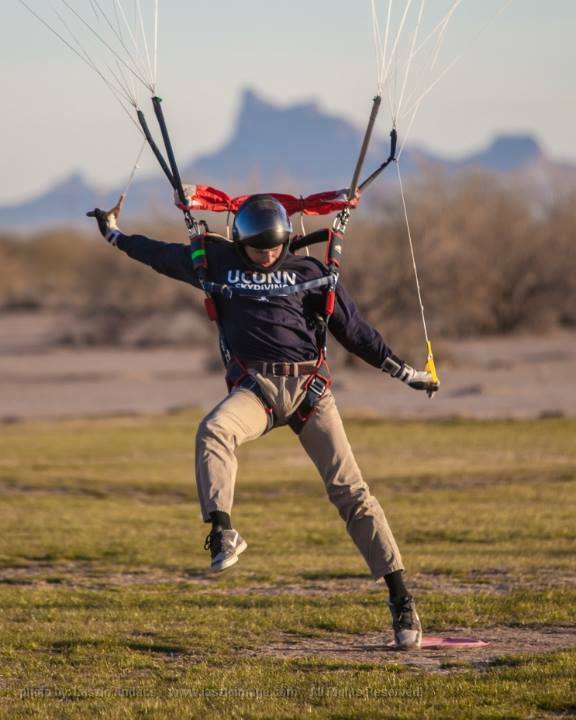 He made his first tandem jump in September of 2011 and got licensed that following semester. He has accrued over 1600 jumps since. 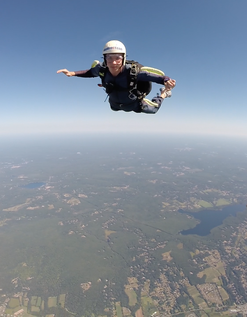 Doug thoroughly enjoys 4-way formation skydiving and has several medals in 4-way as well as sport accuracy. Doug hopes to be a well rounded skydiver and eventually get into other air sports. 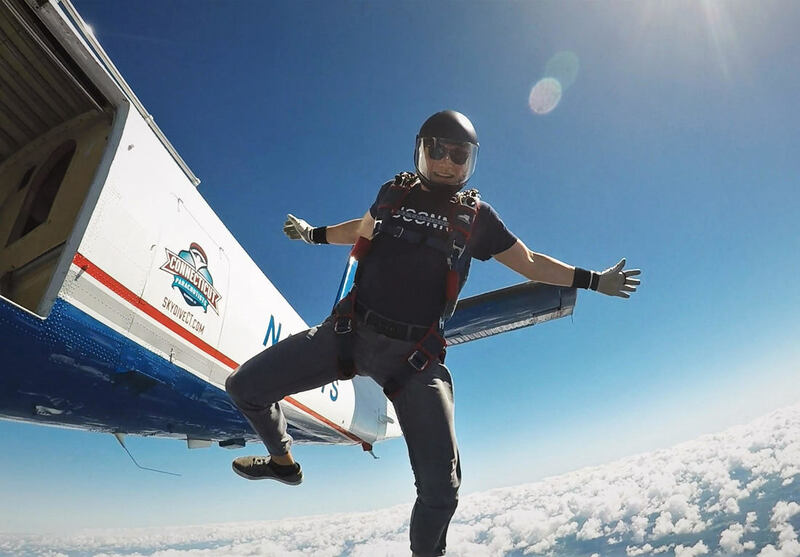 His favorite motto throughout skydiving is "If you ain't first, you're last." Dave Gerstein is a young immigrant from Chile. 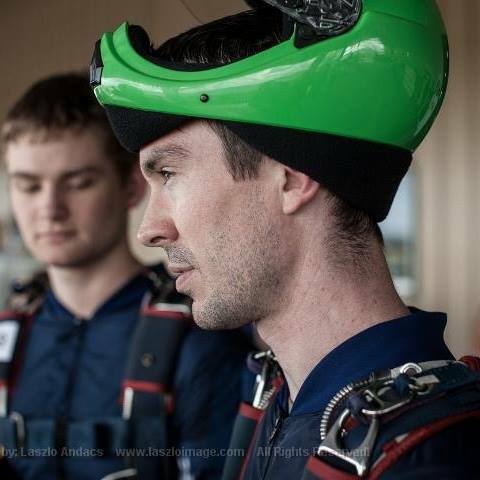 He got his skydiving license a few weeks ago and has since made over 2000 jumps. His favorites activities include: frolicking in corn fields, listening to heavy metal, and being in pictures. He has been photographing for the paparazzi for the past 10 years and founded the National Geographic. 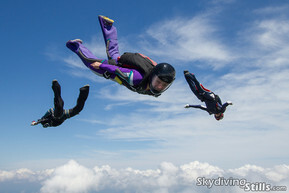 He also enjoys making quirky captions on his website, www.skydivingstills.com. Dave always makes us look good skydiving, no matter what. Proof of this is from almost every picture on this site provided by Dave.